EnergyCAP, Inc. is a five-time winner of the ENERGY STAR Partner of the Year award—the only software company to be so honored. Our EnergyCAP software provides an interface for automated submission of building energy data to ENERGY STAR’s Portfolio Manager. 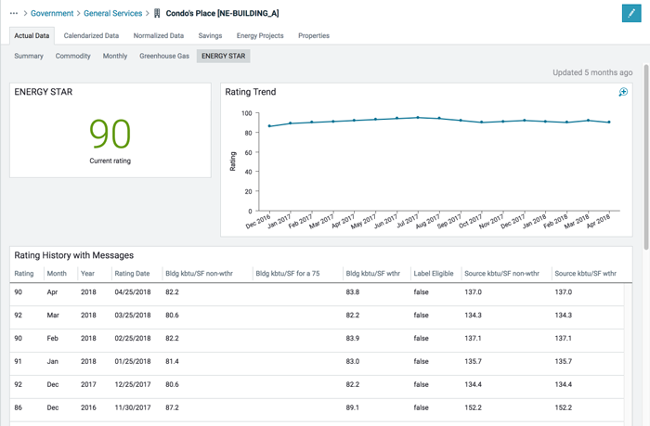 Through the interface, ENERGY STAR returns energy use information and an ENERGY STAR building rating for energy efficiency that can be used to achieve certification status. The interface alleviates the need to double-enter data into EnergyCAP and into Portfolio Manager and makes it easy to satisfy benchmarking legislation requirements.